Thanks to a reader asking for a post about RPGs via our Twitter, I am bringing you guys a list of a few of the best known vampire tabletop RPGs out there (youâd have a million pages to read if I covered them all). First off, for those new to tabletop RPGs, they are role-playing games centered on a fantasy world that players enter through their imaginations. Players tell the story as they play the game, relying on dice to make key choices and to trigger events. Iâm making it sound simple, but itâs actually incredibly complicatedâ¦ and addictive. Dungeons and Dragons: The world of D&D is massive and there are countless stories you can play in the game, including ones that feature vampires. Check out Whispers of the Vampire’s Blade. 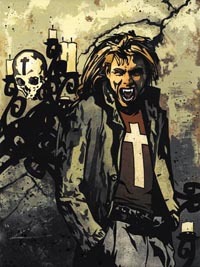 Vampire: The Masquerade: This is the most popular of all vampire RPGs. White Wolf brings players a game based on the Storyteller System where you play a vampire in modern times. There are multiple types of vampires you can choose to play, which you can see here. 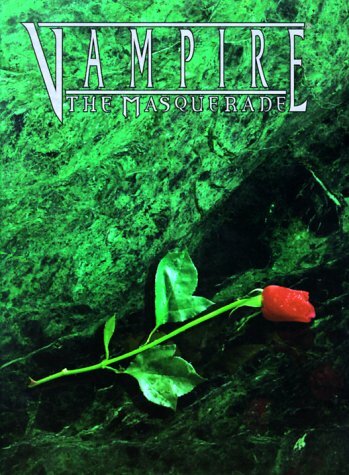 Vampire: The Masquerade eventually became so popular that they even made a video game based on it. 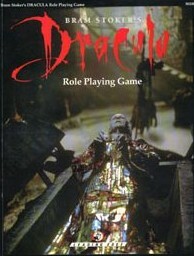 Bram Stokerâs Dracula: This is one of the lesser known RPGs but one that a Dracula fan will love. The story behind the game is that after Draculaâs death he left behind a group of newly created vampires that must be defeated. Chill: This one is presented in the form of journal entries. It features the histories, last known whereabouts and rumored methods for destruction of a variety of vampires. Some of vamps in the game include Count Dracula, Hiutzotl, Elizabeth Bathory. Vampir e: The Requiem: Another White Wolf game, but it is an entirely new game, not a continuation of the previous editions. It does use many elements from the old game though, like its construction and some of the clans and their powers. Vampire Kingdoms: This game draws its adventures from the conflicts between humans and vampires. In this world there are three varieties of the Undead – master vampires, secondary vampires and wild vampires. NightLife: This is a RPG full of urban monsters. Based on the punk scene and set in New York City, the Kin live and hunt in the shadows the same as they have for centuries. Characters can be Vampyres, Werewolves, Ghosts, Daemons, Wyghts (animate corpses), Inuits (Native American trickster spirits) or Animates. And thereâs your very small look into some of the vampire RPGs out there. If youâre interested in some of the others I suggest going here or here. Sounds very interesting. I have never played myself, but still… interesting.